A day before the start of the New York International Auto Show, GMC has officially taken the wraps off the 2016 GMC Terrain and Terrain Denali. Just like the last Terrain, the new vehicle can seat five in comfort, offers available AWD on SLE, SLT & Denali models, and features GM’s exclusive MultiFlex sliding rear seat. Buyers can opt for a fuel-efficient yet powerful Ecotec 2.4L–which returns 32MPG on the highway–or a direct-injection 3.6L V6 that delivers best in class 301hp and 272lb-ft of torque. 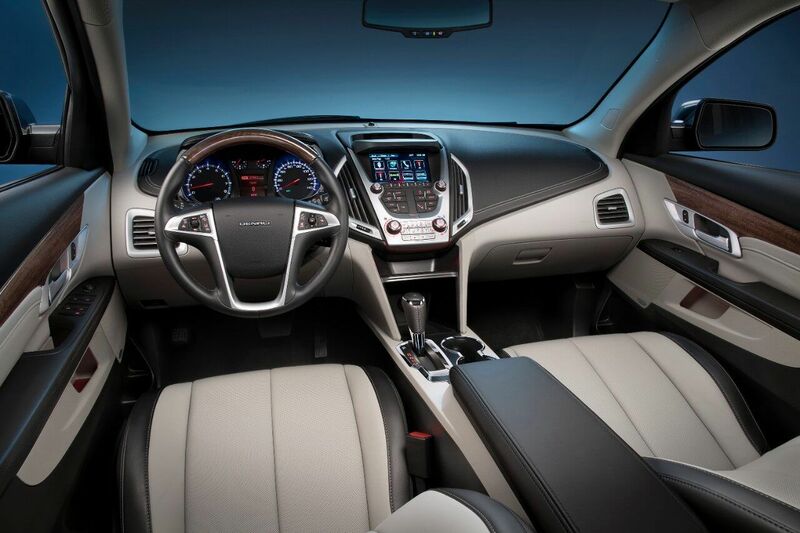 Introduced in 2009 as a 2010 model, the GMC Terrain is currently in demand more than ever, last year was the Terrain’s best year on the market: GMC moved 104,016 Terrain’s, a 5.5 per cent sales increased (U.S.). Here’s hoping the new model will continue the trend. We’ll bring you more details as soon as we can. Want to be first in line for the 2016 Terrain? Give us a call @ 905-878-2355!